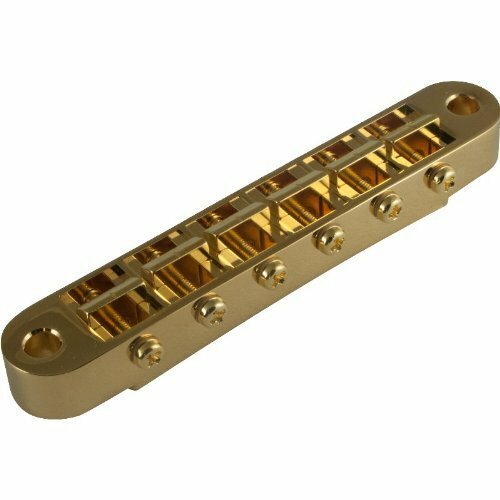 Hardware included.Bridge A modern version of the Tune-o-matic style bridge for the solidbody guitar. Pre-notched saddles with an individual saddle intonation screw retained by mini hex nuts for each one. Standard mounting post style and features hard zinc saddles. Bridge A modern version of the Tune-o-matic style bridge for the solidbody guitar. Pre-notched saddles with an individual saddle intonation screw retained by mini hex nuts for each one. Standard mounting post style and features hard zinc saddles.